Purpose: In this tutorial, you will learn how to set up and execute a series of calculations for a crystal in the diamond structure, where the atoms are displaced according to a phonon pattern with the periodicity of the X point in the Brillouin zone. Additionally, it will be explained how to obtain the phonon frequency of TA, LA, LO, and TO modes at X, by calculating the derivatives of the energy-vs-displacement curves at zero displacement. Proceed in the same way as for Phonons at Γ in diamond-structure crystals. Here, is a list of the scripts which are relevant for this tutorial with a short description. SETUP-diamond-phonon-x.py: Python script for generating structures with displaced atoms. EXECUTE-diamond-phonon-x.sh: (Bash) shell script for running a series of exciting calculations. CHECKFIT-energy-vs-displacement.py: Python script for extracting the derivatives at zero displacement of the energy-vs-displacement curves. 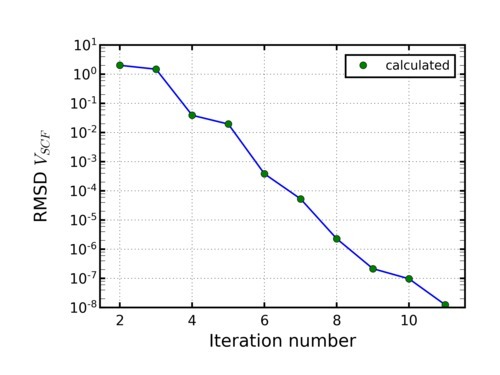 PLOT-energy.py: Python visualization tool for the energy-vs-displacement curves. 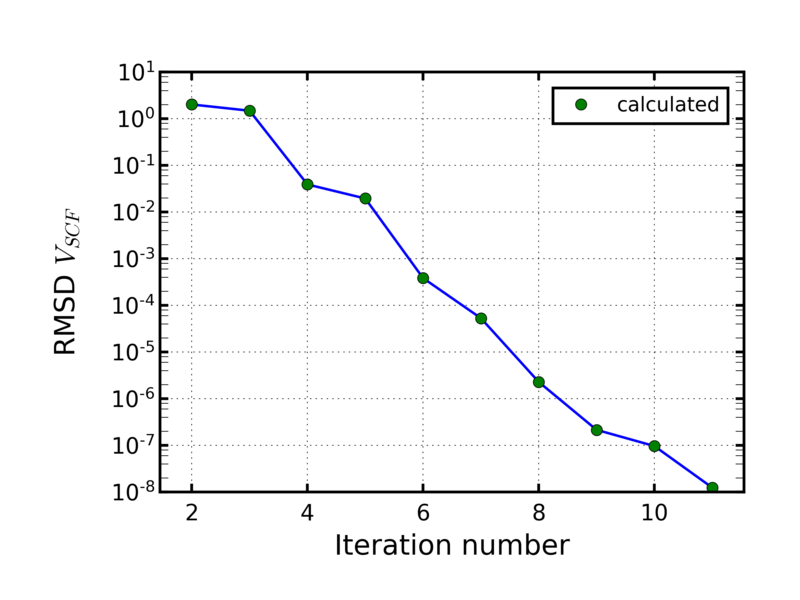 PLOT-status.py: Python visualization tool for the RMS deviations of the SCF potential as a function of the iteration number during the SCF loop. PLOT-checkderiv.py: Python visualization tool for the fit of the derivatives of the energy-vs-displacement curves at zero displacement. The first step is to create a directory for each system that you want to investigate. 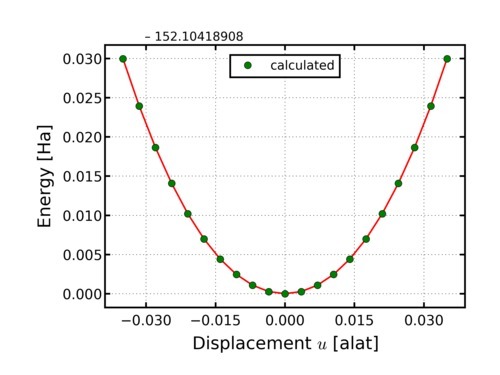 In this tutorial, we consider as an example the calculation of the energy-vs-displacement curves for carbon in the diamond structure. Thus, we will create a directory diamond-phonon-x and we move inside it. Furthermore, when setting up a new calculation for a tetragonal system, the values defined by the attribute ngridk in the element groundstate will be also changed according to the new geometry. The new values are chosen in such a way to keep the same density of k-points for both the unperturbed unit cell and the tetragonal supercell. Note that you do NOT need to modify the file input.xml by adding explicitly the configuration with 4 atoms in the super cell. The script SETUP-diamond-phonon-x.py described in the next section will do it for you. In order to generate input files for a series of different structures you have to run the script SETUP-diamond-phonon-x.py. Notice that the script SETUP-diamond-phonon-x.py always generates a working directory containing input files for different atomic displacements. Results of the current calculations will be also stored in the working directory. The directory name can be specified by adding the name in the command line. If no name is given, the script use the default name workdir. Very important: The working directory is overwritten each time you execute the script SETUP-diamond-phonon-x.py. Therefore, choose different names for different calculations. The script SETUP-diamond-phonon-x.py produces the following output on the screen (using x-phonon-ta as working directory). In this example, the (on screen) input entries are preceded by the symbol ">>>>". The entry values must be typed on the screen when requested. 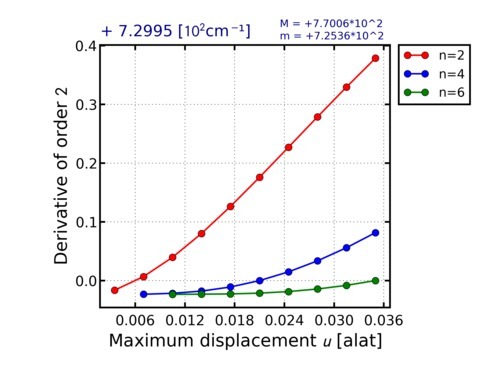 The first entry (in our example 0.035) represents the absolute value of the maximum displacement (for each component, in crystal coordinates) for which we want to perform the calculation. The second entry (21) is the number of structures equally spaced in the displacement of the second atom, which are generated between the maximum negative displacement and the maximum positive one. The third (last) entry (TA) is the code of the phonon mode that one wants to investigate. To execute the series of calculation with input files created by SETUP-diamond-phonon-x.py you have to run the script EXECUTE-diamond-phonon-x.sh. If a name for the working directory has been specified, then you must give it here, too. Notice that, due to the symmetry of the phonon pattern at X, the script executes only calculations with input files corresponding to non negative displacements. This is the reason why the first executed calculation is for the file input-11.xml instead of for input-01.xml. After the complete run, inside the directory x-phonon-ta the results of the calculation for the input file input-i.xml are contained in the subdirectory rundir-i where i is running from 11 to the total number of strain values. Data for the energy-vs-displacement curves are contained in the files energy-vs-displacement. In order to analyse the results of the calculations, you first have to move to the working directory. 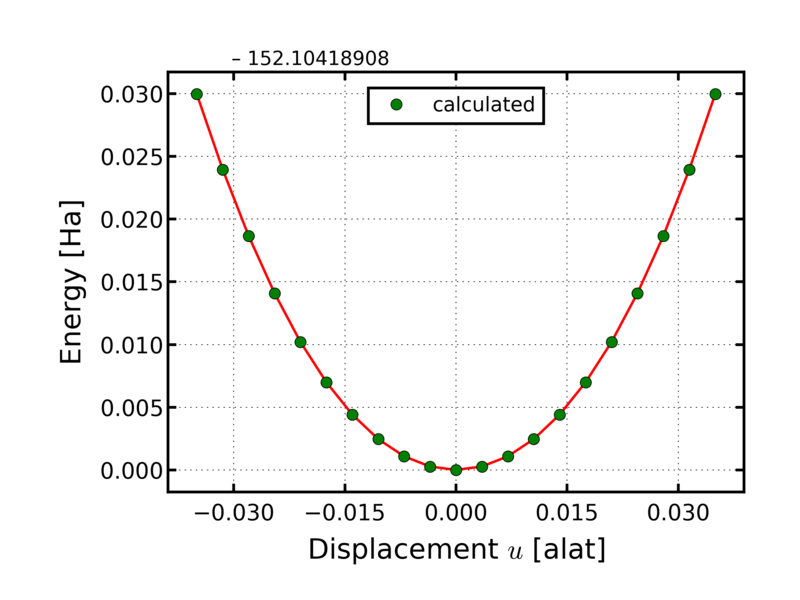 At this point, you can use the python script CHECKFIT-energy-vs-displacement.py for extracting the derivatives of the energy-vs-displacement curves at zero displacement. In this example, the input entries are preceded by the symbol ">>>>". 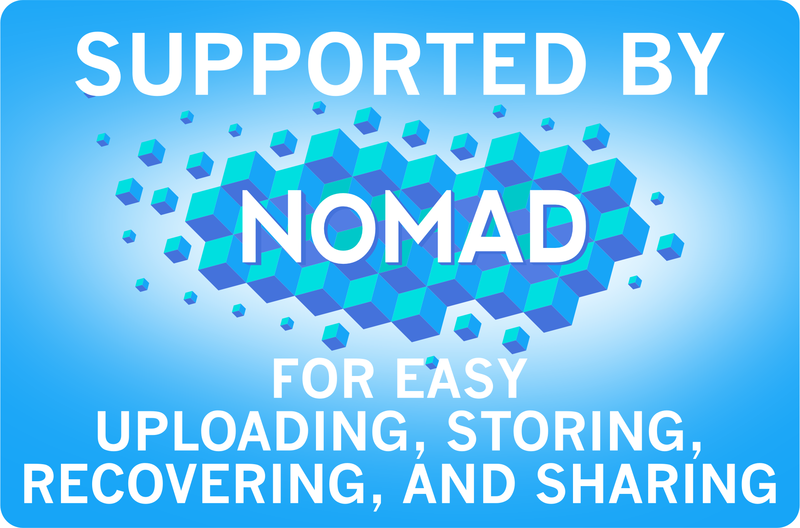 The entry values must be typed on the screen when requested. The first entry (in our example 0.035) represents the absolute value of the maximum displacement for which we want to perform the analysis. The second entry (2) is the order of the derivative that we want to obtain. Finally, the third entry (12.01) is the atomic mass of carbon in units of [amu]. NOTICE that, in this example, the values which are given above as output on the screen are not directly the actual second derivative of the energy-vs-displacement curves, but the values of the frequency, i.e., combinations involving the square root of the derivative (see Section 5 for the explanation). The script CHECKFIT-energy-vs-displacement.py generates the output files check-energy-derivatives and order-of-derivative, which can be used in the post-processing analysis. All scripts, except PLOT-atomforce.py, which are used as visualization tools of in Phonons at Γ in diamond-structure crystals, can be used for this tutorial, too. In the following, you can find some example of plot obtained with these tools. Notice, that in the diamond structure the LA and LO phonons are degenerate (they have the same frequency). Using appropriate values for m and a and their units, the phonon frequency is given directly from the square root of the second derivative of the energy-vs-displacement curves. This is the output of the fit procedure exposed above if the order of the derivative is taken equal to 2. The optical phonon frequency is obtained from the plateau value of the second-order derivative at zero displacement of the energy-vs-displacement curves. For more details on the procedure used for extracting numerical derivatives, see Energy vs. strain calculations, where the same approach is used for calculating elastic constants. The frequency values which are obtained in this example using the quoted parameters, are not realistic. Check the convergence of the phonon frequencies at the X point for diamond with respect of the value of the ngridk and rgkmax attributes using derivatives of the total energy. Calculate all frequency modes for different values of the lattice constant. Repeat all the calculation for silicon.